The Design range has a semi-frameless style developed utilising the latest technology. This range of semi-frameless enclosures sit beautifully on Simpsons low profile shower trays. The Simpsons Design Return Panel comes with a lifetime guarantee and a ClearShield coating that makes this panel high quality and great value for money. 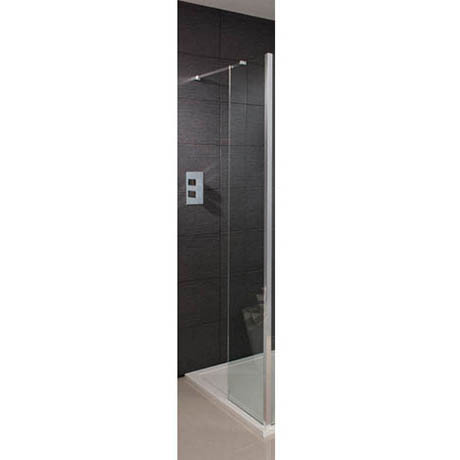 This return panel can be used in conjunction with the Design Side Panel (sold separately) to create a walk in enclosure to provide an extra barrier of protection for the bathroom. Please note shower, tray and side panel sold separately.